“ A tall Scott of 28 Gardiner is an accomplished musician who recently released a single in Britain Times are Tight ( Good Earth GD4)…The single features him on lead guitar and his wife Virginia on Synthesisers, backed by Tony Visconti on bass and a variety of ancient recorders “ National Rockstar. 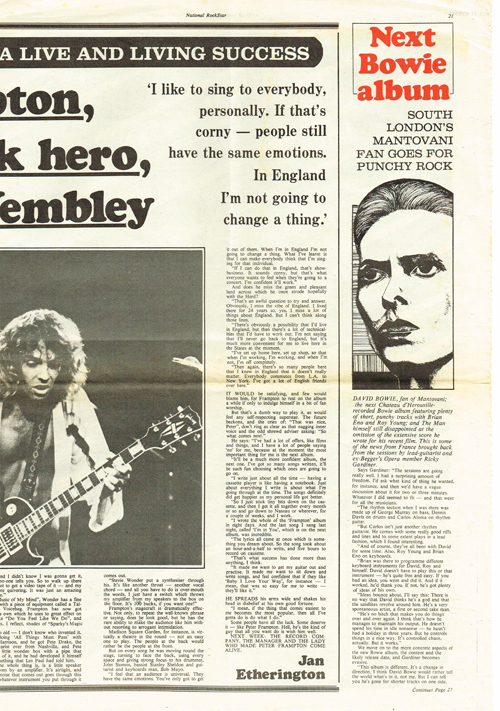 National Rockstar/ Ricky Gardiner interview post David Bowie Low. Talks of the Low sessions and announces Times are Tight a Ricky Gardiner single which was released by Good Earth Records produced by Tony Visconti. 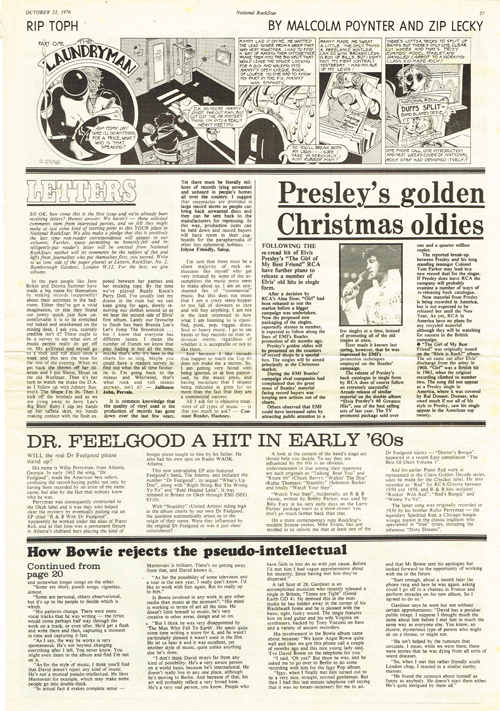 National Rockstar was a rare and short-lived weekly music paper issued in 1976-1977. 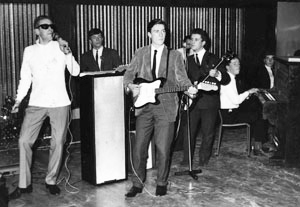 A little video with Ricky Gardiner playing Midnight by the Shadows age 16 on a Futurama 3 with a Selmer tape delay with the Kingbees Glasgow 1963.